Brexit is a word made by combining Britain and exit. So, Brexit = Britain + Exit meaning that Brits are leaving the European Union. This idea was unthinkable even a decade ago. However, the results of a bitterly fought referendum that happened in June 2016 confirmed that a majority of the Brits wanted to leave the European Union. Since the stunning results which were out on June 24, 2016, there have been debates, talks, blame-games, threats and lots more action in the UK and Europe, in particular, and the world over, in general. The effects of the Brexit referendum looks like any bitter divorce with both sides throwing dirt and slander on each other. So, why is Brexit happening and how is the world, particularly the US going to be affected by it? 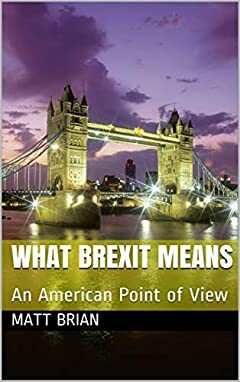 The answers to the why and what of Brexit can be better understood by learning the whys and what of the European Union.